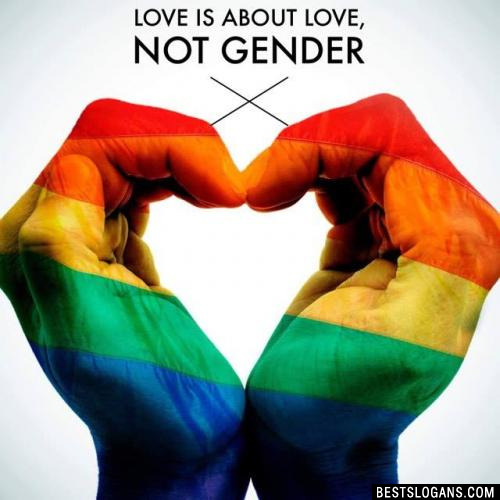 Best list of pro LGBT, team pride, pro gay pride slogans, LGBT mottos and more slogans to support gays & equal rights. 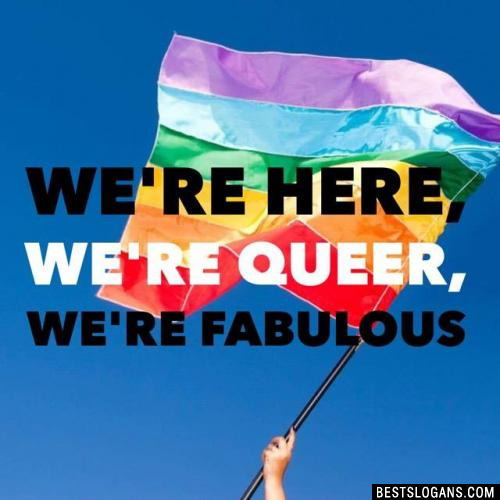 Approximately 6.7 percent of the U.S. adult population identifies as lesbian, gay, bisexual, or transgender. Here are a list of facts to further help you understand the Gay/LGBT community. 6 in 10 LGBT students report feeling unsafe at school because of their sexual orientation. 90% of teens who are LGBT come out to their close friends. 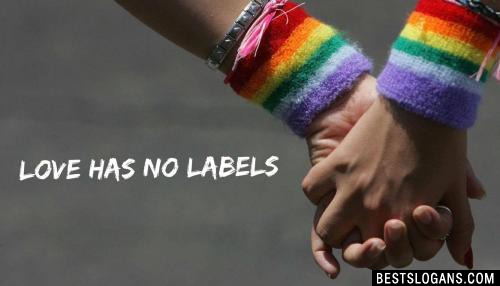 80% of gay and lesbian youth report severe social isolation. Young people who are LGBT and who are "out" to their immediate families report feeling happier than those who aren't. 1 Never feel ashamed for who you are. Be yourself. Love yourself. Love who you want. 2 How you identify is your decision and no one else's. 3 Be proud of who you are. 4 If God hated gays, why are we so cute? 7 God created Diversity. Man created Bigotry. Who do you trust? 10 Bisexual by nature, queer by choice. 13 I'm out. Are you? 14 Homophobia is a social disease. 15 Keep your laws off my body. 16 Closets are for clothes. 17 Have a gay day! 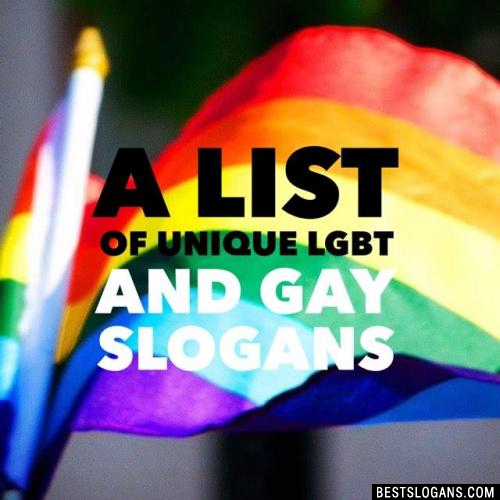 Can you think of a good Gay Lgbt Slogans we're missing? Or come up with a clever one of your own. Please share below.